Middlemount is now offering a top class standard of home sleep testing and sleep apnoea treatment. By addressing any sleep issues we are aiming to improve performance during the day and overall health outcomes. Poor sleep is linked with Depression, Hypertension, Obesity and Type II Diabetes. Snoring is linked to drowsiness during the day and disgruntled spouses. 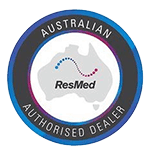 Sleep Right Australia use the best home sleep testing equipment available on the market with one of Melbourne’s best Sleep Physician’s, Dr David Cunnington overseeing the reporting of our sleep testing and treatment of snoring and sleep apnoea. Once you obtain a referral from your GP we will organise a time to get your sleep study done. The convenience of home sleep testing means you will not have to travel far to complete the sleep study and you will get an accurate result from the comfort of your own home. For more information contact Sleep Right Australia [email protected] or call 1800 799 950 or speak directly to the friendly staff at the Middlemount Medical Clinic. All bookings are by appointment. Ensure your therapy is being looked after by the experts in Sleep Apnoea.